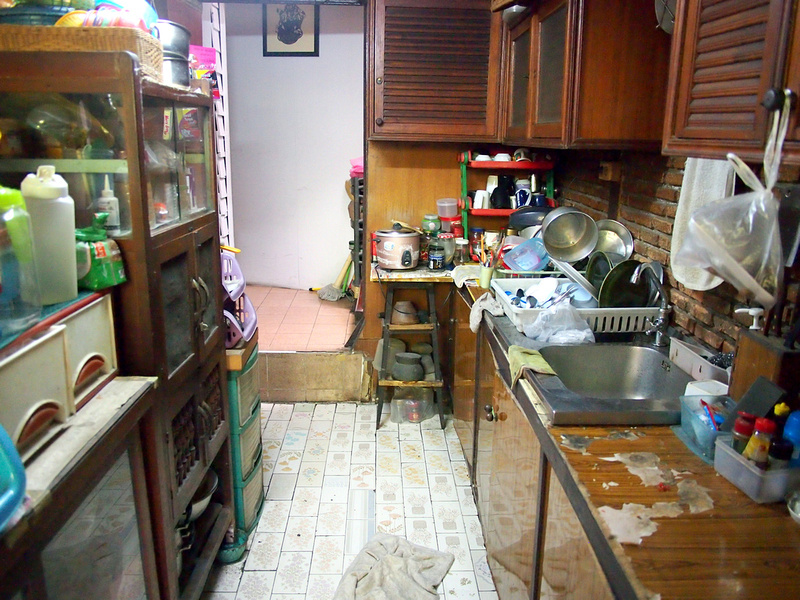 I’ve sometimes wondered if there are still any $5 a night guesthouses left in central Bangkok. You would never find such places on online booking sites, so it’s a matter of finding out from guide book listings (or from blogs 😉 ). 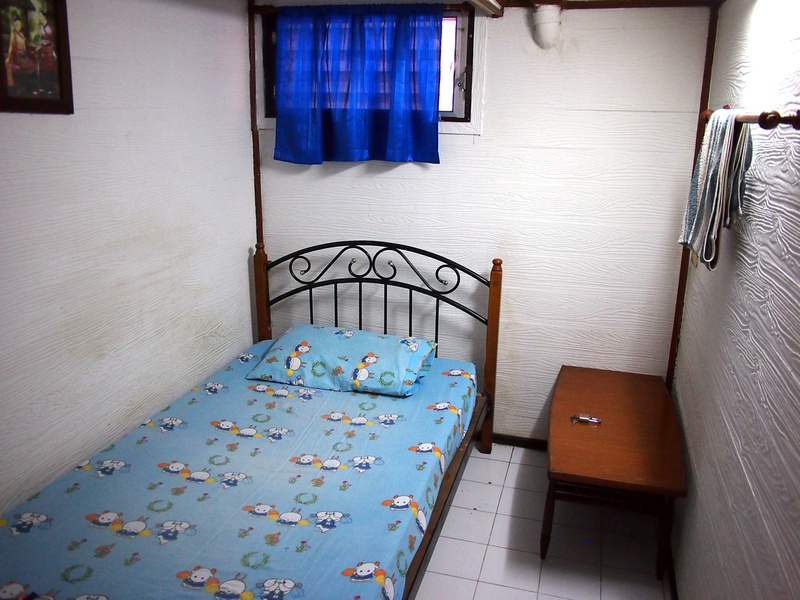 On my recent Bangkok exploration I found what might be the cheapest guesthouse in central Bangkok. At 170 baht a night that works out at $5USD per night. I recall seeing a room in the backstreets of Khao San Rd for 120 baht a night, but I can’t imagine finding anything that cheap in central Bangkok. 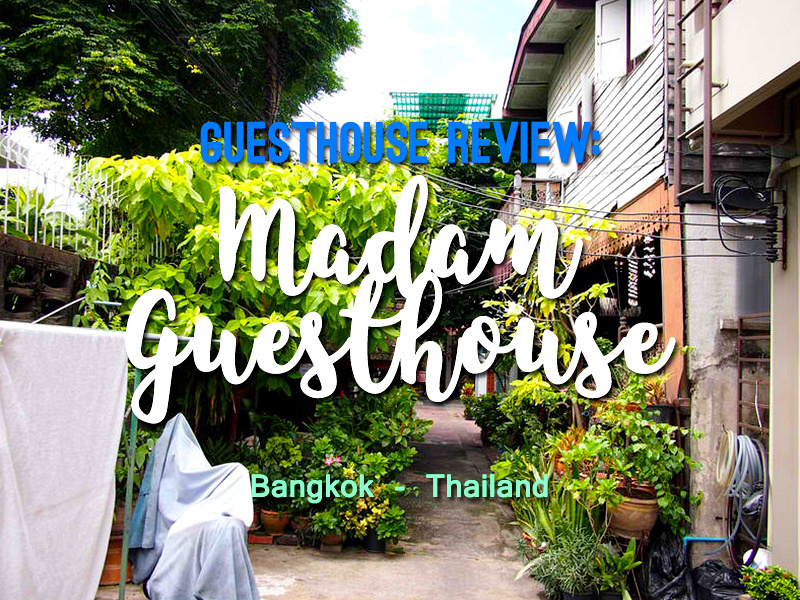 Madam Guest House is off Soi Sri Bamphen, which used to be part of the Soi Ngam Duplee backpacker neighbourhood until Khao San Road became the premier backpacker street. 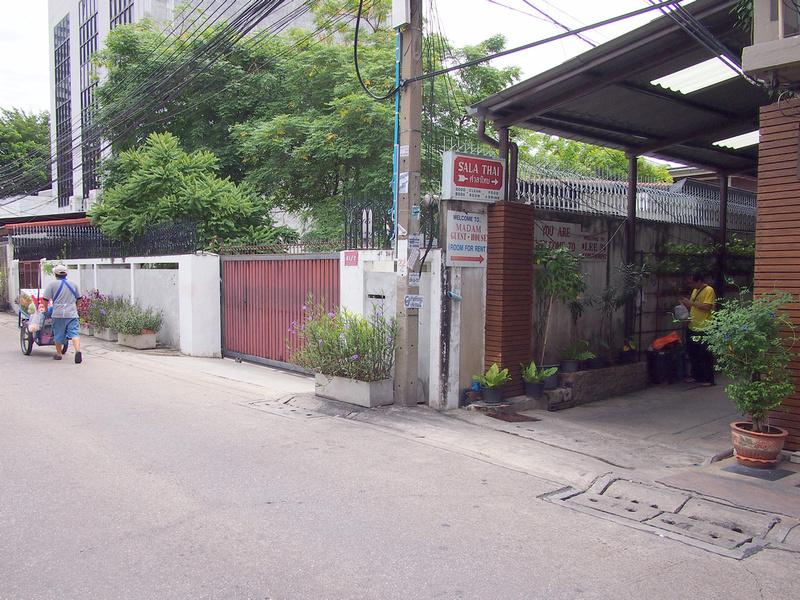 Soi Sri Bamphen is about 10 minutes walk from Lumphini Metro station and Lumphini Park, and 25 minutes walk from Silom Road and the Sathorn business area. The entrance is on a quiet side street and behind another block of buildings. The house is hidden behind an urban garden in typical Bangkok style, where bare concrete has been turned into a lush tropical paradise. The house is an old teak house (or at least in the same style of the old-fashioned Bangkok homes) which has lots of little design details which you don’t get with modern concrete blocks. There is a common area in the front garden/reception which is a nice area to sit. When I arrived there were a few seasoned European backpackers hanging around. I say seasoned as they had kids and I suspect that they have been coming here since when it was the original backpacker haunt. I doubt anyone would find this place on their first trip. In fact I felt like they were sizing me up, as if to say “what are you doing in our secret Bangkok guesthouse?” Little did they know that I’m a Z-list celebrity blogger who was about to expose their Bangkok hideaway. I took a room on the ground floor, at the back on the house. It’s a small room with a single bed and bedside table. There was a fan on a table at the end of the bed. 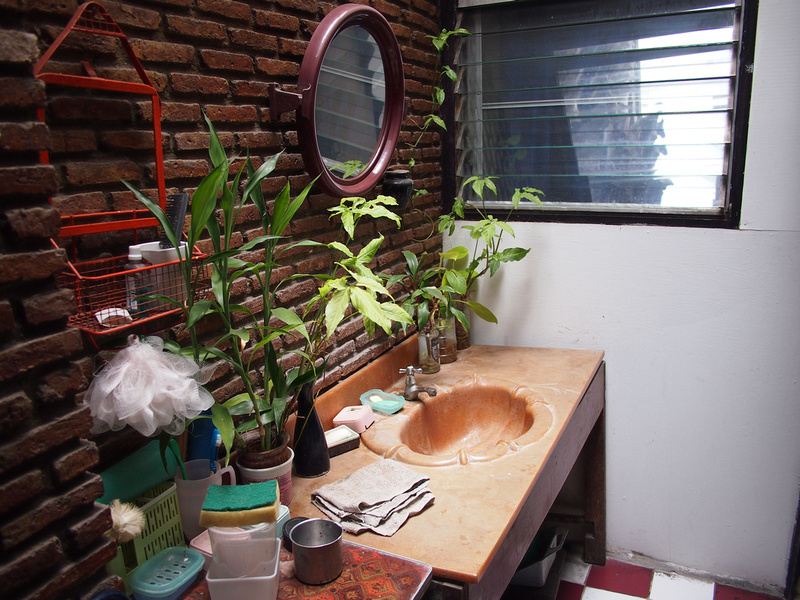 The bathroom is also at the back of the house and is a share facility. The toilet is a manual flush (you use a bucket of water to flush) and there is a water tank in the room. This is a common set up in guesthouses in Indonesia but it was the first time I’ve seen one like this in Thailand. There is a cold water shower, or you could also go old-school and use the scoop from the water tank. The bathroom didn’t have a window and it felt a bit moldy. The bathroom sink for my room was between my room and the bathroom. To get to the room I had go through the family kitchen, and at some places I had to duck to get through. The house feels like a family compound that has collected household items and collectables over the decades. There is wifi here of course, as even the cheapest guesthouses in Thailand have that basic human necessity. I was also offered a room upstairs but I didn’t go to see it. Double rooms are 230 baht and some of the upstairs rooms have balconies. So there it is. 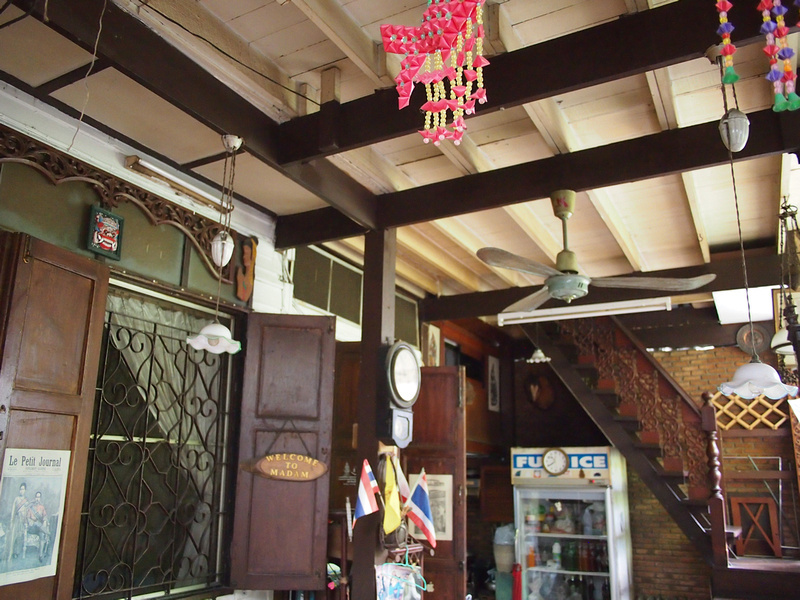 One of the last of the homestay guesthouses in Bangkok. If you are looking for absolute budget without staying in the Khao San Road area then this is a good option. There is no online booking so just turn up and try your luck. Note that there are a couple of other guesthouses in the alley so you have some other options if there is no availability here. If you’d prefer something a bit more modern with the certainty of having a room when you arrive then search for more hotels in Bangkok here. 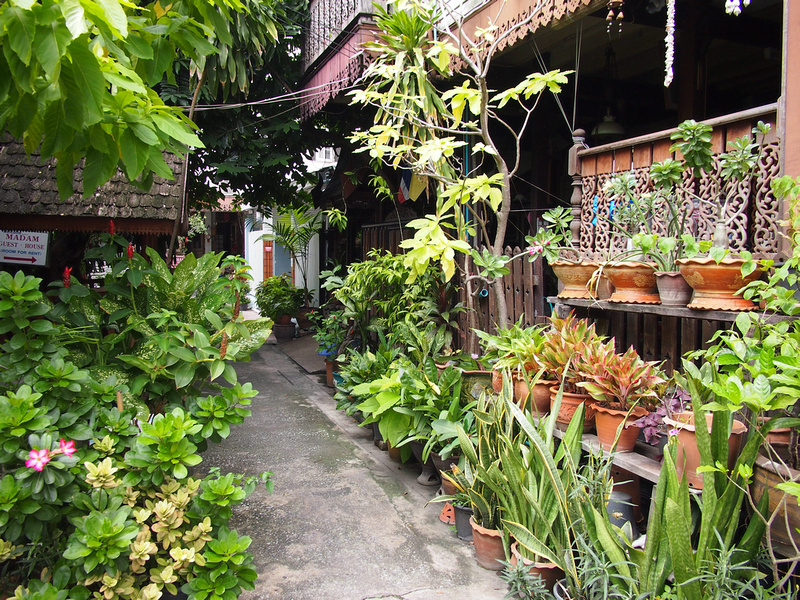 For a guide on other neighbourhoods check out where to stay in Bangkok. I am looking for a secret place out of the touristics places as you find but a bit more comfortable for my toddler and easy access. I am from taipei taiwan. it seems very interesting to me. I used to spend night at Babylon or ibis when I made a trip there. However this time I wants to try something different. I am going to try there definitely next weekend for several days and thanks for information you provided. You can contact me if you are coming to Taipei.